Firm: Hilario Law Firm, P.C. 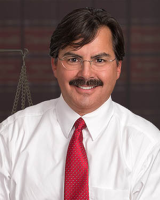 Billings Attorney Mark S. Hilario established Hilario Law Firm in 1998 with the goal to provide quality legal representation to individuals struggling with complex legal matters involving bankruptcy, divorce, estate planning, probate, business and real estate. Before founding his solo law firm in Billings, our lawyer attended the University of Montana School of Law in Missoula, Montana, where he earned his juris doctorate in 1998. He is a member of the State Bar of Montana, American Bar Association, Montana Trial lawyers Association and Yellowstone Area Bar Association. At Hilario Law Firm, P.C., in Billings, Montana, I have been providing practical legal advice and representation to individuals, families and businesses since 1998. As a solo practitioner committed to excellent client service, I work directly with every one of my clients. As your lawyer, I will personally handle all aspects of your legal matter and make sure your interests are protected. Our foundation is strong attorney-client communication and collaboration. I bring a wealth of knowledge, experience and zeal to the task of advising and representing clients.